A new walking tour in Hintonburg is trying to raise awareness of the issue of food waste in Ottawa and in the world. With more than 45 per cent of food waste coming from consumers, the duo, who run Ottawa (de)tours, wants to challenge people to think about how much food they need as opposed to how much they buy. 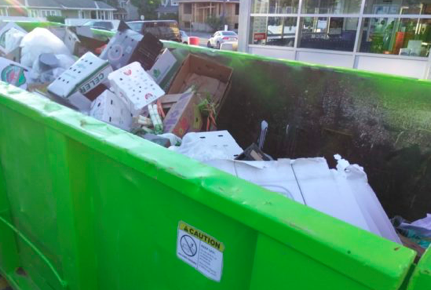 “When people talk about food waste they feel a lot of shame, they feel shame when they throw things away,” Chelchowski said. The tour begins at a chain grocery store, which the pair says, is where a lot food that becomes waste is purchased. And it ends at Nu Grocery, Ottawa’s first zero-waste grocery store. The tour is set up to explore and explain many farm-to-table issues and misconceptions such as the aesthetics of produce, best before dates, how waste adds to climate change and the real lifespan of food from creation to proper disposal. A report by the Commission of Environmental Co-operation shows that the average Canadian household throws out 374 pounds of wasted food at home annually. To counter that, Melvill and Sarah Chelchowski talk about donating the material to local food banks to keep good produce out landfills or organic composting systems, where it can take years to decompose properly. The couple aren’t alone in this work. 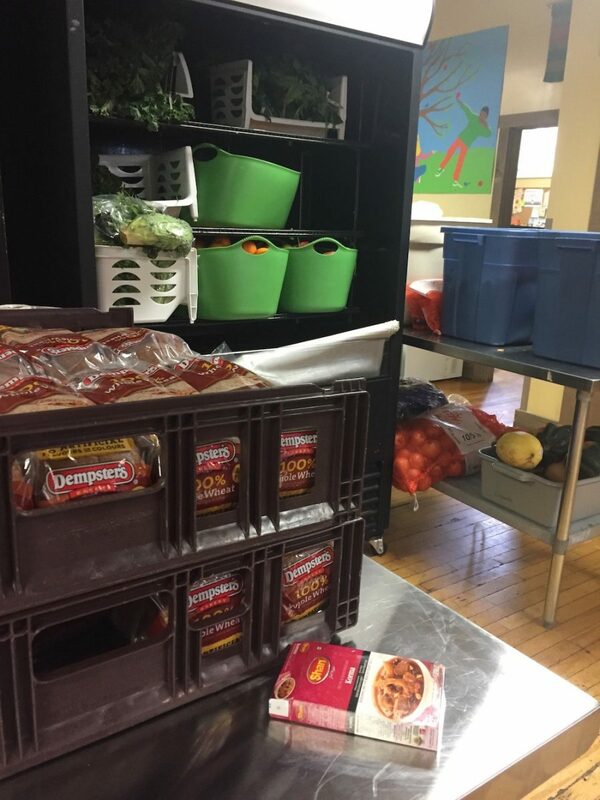 The Parkdale Food Centre, run by Karen Secord, is one ‘Good Food‘ organization in Ottawa trying to change the way food banking is done. 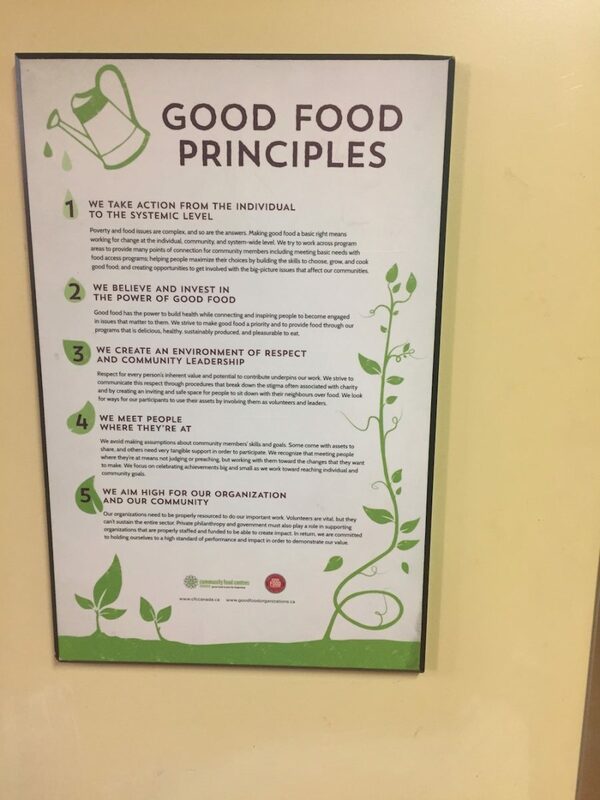 The Parkdale Food Centre’s “Good Food Principles.” These are the values the Centre focuses on when they help the local Ottawa Community. 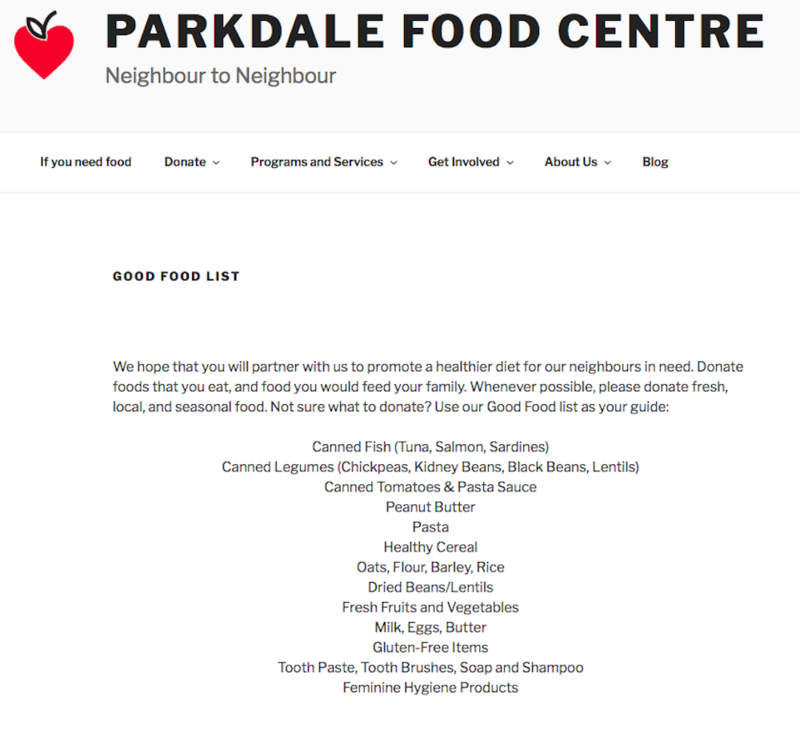 The Parkdale centre only accepts food on a ‘Good Food List’ they have created. This includes fresh produce, milk, eggs and gluten-free items. To meet this, the centre relies heavily on local businesses and farmers’ markets to donate produce and ingredients that can be redistributed to the users or made into a healthy meal to be served that day. The Parkdale Food Centre’s “Good Food List’ as seen on their website. These items are all of the food the centre will accept. Secord says she wants to challenge the traditional model that all food donated to a food bank should be accepted and redistributed. She’s doing this, she said, because individuals who can’t afford to buy healthy food for themselves get stuck on a diet of processed foods. A shipment of food that has been delivered to the Parkdale Food Centre. All of these foods fall on their “Good Food List” and will be turned into a healthy meal or redistributed into the community. “What is food? If you’re measuring it in terms of pounds, lettuce and broccoli don’t weigh nearly as much as a can of soup, but they have way more nutrition,” says Secord. 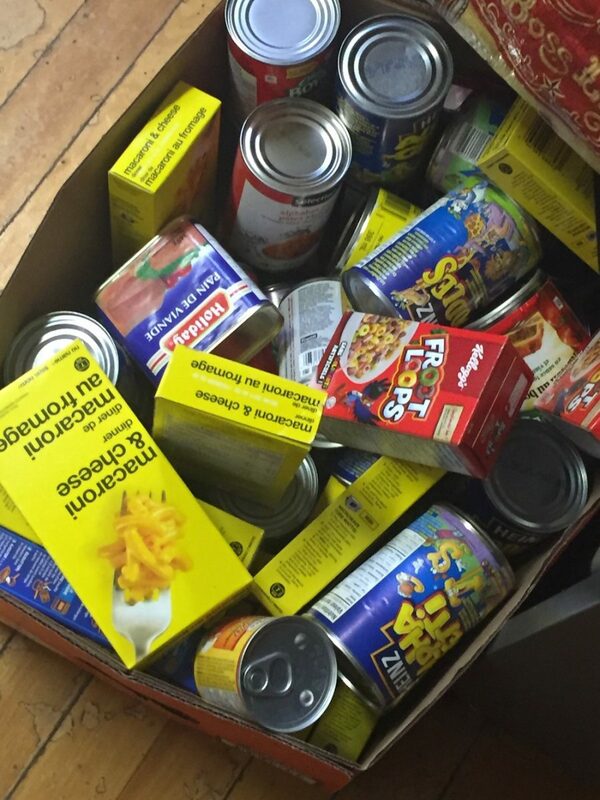 A box of food in Karen Secord’s office containing food that they will not redistribute to clients who visit the Parkdale Food Centre. Melvill says one issue that Ottawa faces is that businesses are afraid to donate food and become liable under the Ontario Donation of Food Act. With more than 38,400 people relying on food banks every month in Ottawa according to the Ottawa Food Bank, Chelchowski says she hopes more local businesses will partner with organizations such as the Parkdale centre to help the environment and the people who otherwise may not receive healthy meals. The Tory government in Ontario has been taking steps that includes reducing a planned increase to social assistance programs and capping the increase in the minimum wage at $14 an hour. Secord worries that a higher burden will be placed on food centres and make it harder to offer a healthier, eco-friendlier food supply.